Hot & Sticky Chicken, the same combination of flavors in your favorite hot wings just with more meat for your bucks. 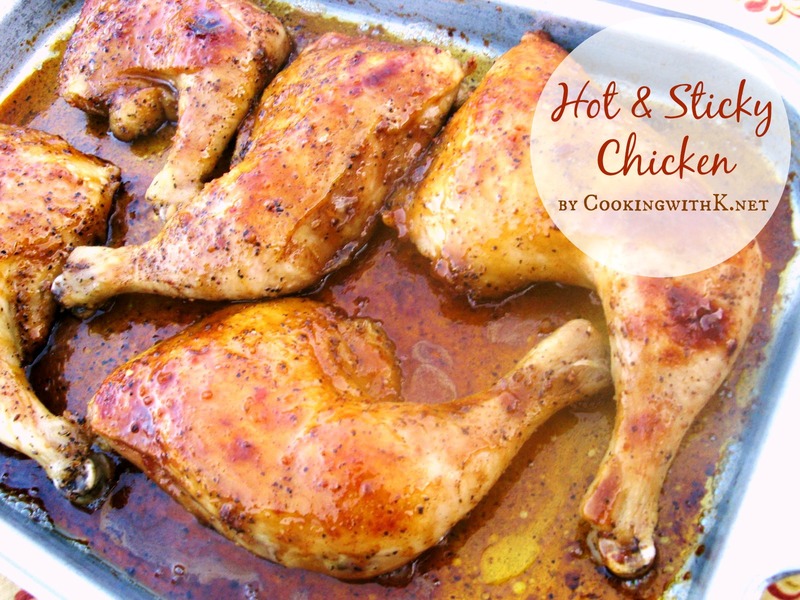 We love hot wings but these chicken leg quarters go a lot further for weeknight meals. Get your napkins ready! 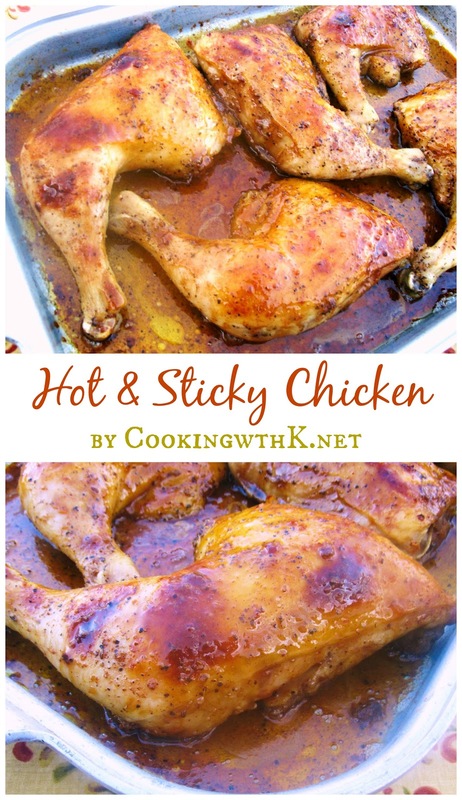 Sticky chicken recipes are so inviting when I see them on Pinterest. I decided to use ingredients that I had on hand to create this recipe for Hot & Sticky Chicken. You can use chicken thighs, chicken legs, or in my case both. 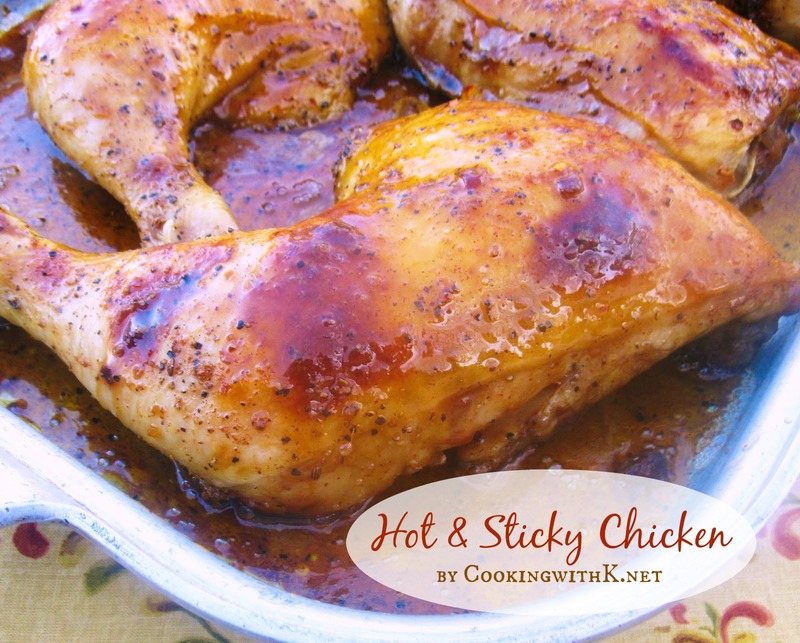 It is the sweet ingredient married with the acidic and hot ingredients that make for a terrific sticky chicken recipe. This recipe came together rather quickly, and the chicken cooked in an hour. When I have plenty of time to plan my menu for the month, marinating is a great flavor enhancer---but sometimes, my plans change, and I need to get a meal on the table quick. This recipe is not only easy and quick but sticky delicious. Have plenty of napkins handy. You will be wiping all those wonderful juices running down from your mouth! In a medium bowl, mix together the first six ingredients with a wire whisk, making sure all ingredients are blended well; set aside. 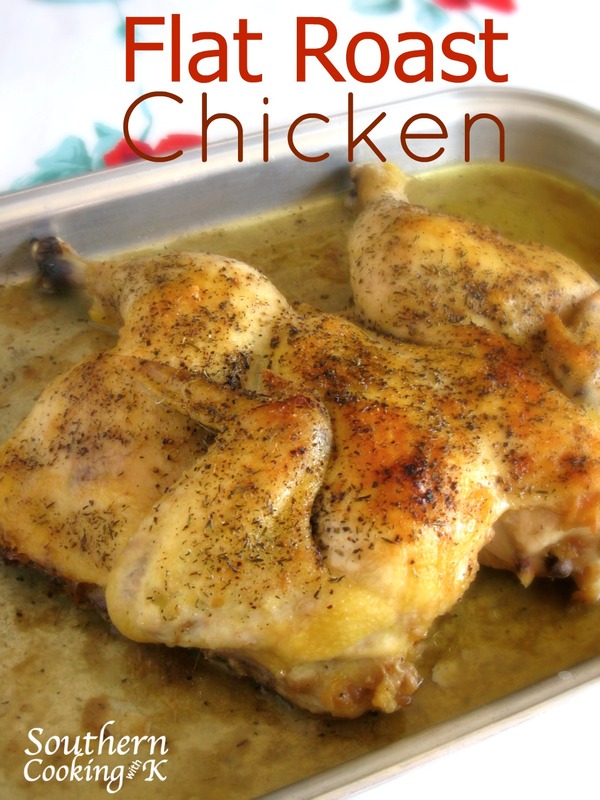 Place chicken pieces on a sheet pan separated and not touching. Whisk the marinade ingredients one more time and pour over chicken pieces making sure each one is coated. Bake for 45-55 minutes basting with the marinade in the pan every 20 minutes. Cook's Note: All marinate ingredients can be adjusted to your taste. 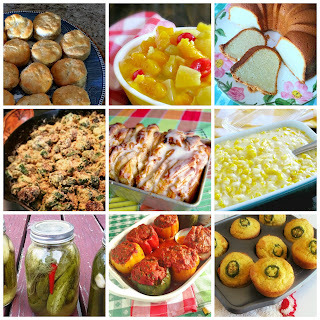 Join me for Meal Plan Monday, Foodie Friday, Weekend Potluck, What's Cooking Wednesday and all these fabulous parties! This looks really good and simple too! Looks awesome. 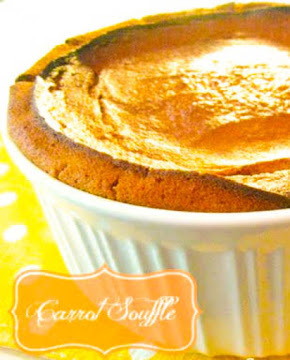 I made something very similar for our dinner last night - sprinkled it with cashews. VERY tasty. 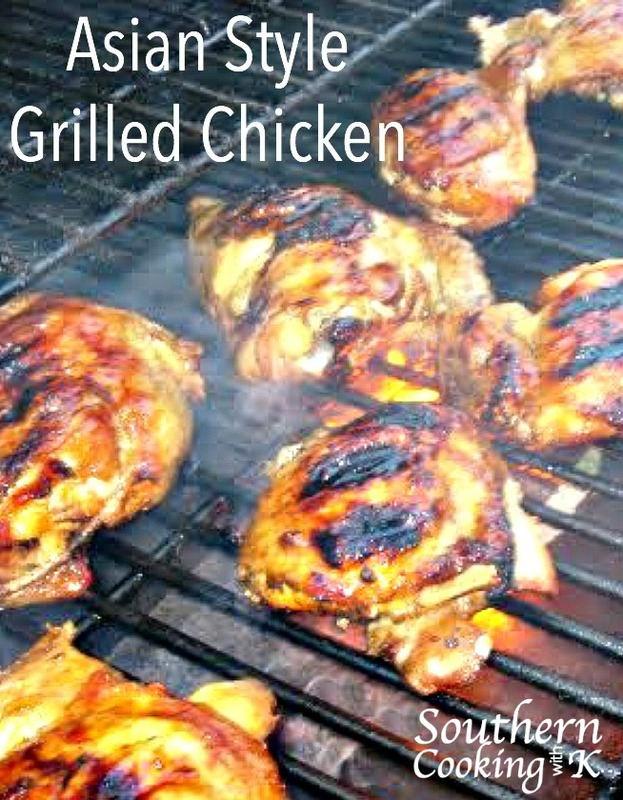 I made this recipe tonight for dinner using chicken thighs and wings. AMAZING!! My hubby and I LOVED it over mashed potatoes and roasted broccoli on the side. Thanks so much for posting! 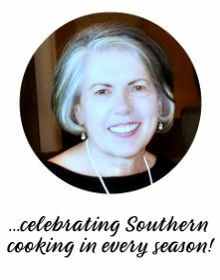 Thank you for stopping by CWK to let me know how much you enjoyed this recipe..glad it was a hit....I will have to make them over mashed potatoes for my husband...which he loves!